INCREDIBLE CREEKSIDE COTTAGE in beautiful Lake Arrowhead! Amazing renovation on this adorable, cottage in the woods. Large open great-room with a custom kitchen. Brand new Master bath completes the Master Suite. Every bedroom has it's own bath! 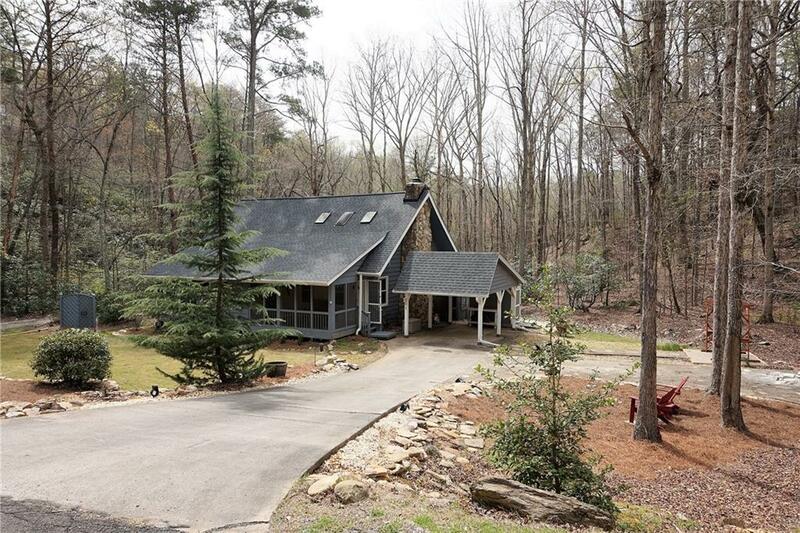 Huge custom fireplace, sunroom, and a spacious loft/bedroom, make this a very comfortable full or second home. Gorgeous stetting, with a private backyard, nice creek and quite sitting areas. Peaceful Screened porch and private rear deck. Hard to find homes, like this one, in Lake Arrowhead!